The craze of online marketing is increasing day by day. It is also being heard that Reliance Group chairman Mukesh Ambani is busy trying to step into the eCommerce world too soon to compete with Amazon and Walmart. However, Reliance company founder Dhiru Bhai Ambani said. To make more profits, you must reach out to every person. Reliance Company has been doing this since its inception. As Reliance stepped into the world of telecom, Reliance Group created an ad for Reliance Mobile. "Karla the world in the first" is exactly the same as the coming of Jio. This can be expected from Reliance in the next step too. In India, many eCommerce is knocking. 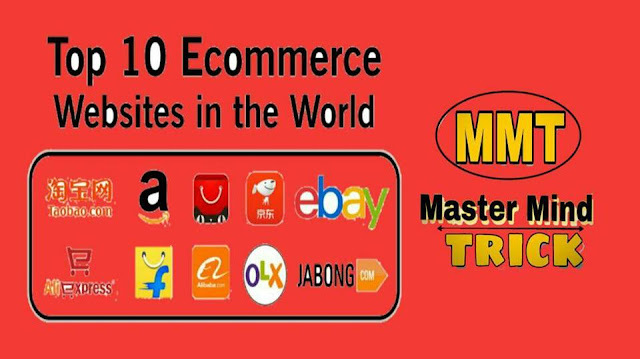 However, keeping in mind the essential things, the name of eCommerce Company has been included in this list. This might be the Top 10 eCommerce Company List some people may not even think right. If you want to make some changes in this, you can give your suggestion in the comment. Flipkart is an Indian eCommerce company. It is giving home delivery almost everywhere throughout Dashash. In 2007, this company was started by Sachin Bansal and Binny Bansal. The company is registered with Singapore and its headquarter is in Bangalore. A few months ago, Flipkart has started manufacturing in House Product as well. For the past few years, it remains the No.1 company of India in the eCommerce world. Amazon has many services, and there is also an eCommerce from it. Amazon was introduced by Jeff Bezos. Amazon is the world's third-largest IT company in terms of money. Jeff Bezos' thinking is very high-grade. In the early days of Amazon, no one thought that internet business or e-commerce or online shopping would go ahead with such a fast. In today's time, people have been completely dependent on online shopping. The person thinking so forward named his company Amazon because, it is said that the world's second largest river is Amazon, which is 6400 Km long. This river is in Southern America. Keeping this thinking in mind, Jeff Bezos is engaged in making Amazon the world's largest company. In the early days, only the book was being sold on Amazon. After this, due to the increasing use of the Internet and the need for a logo, there was a long list of products. Myntra is known for Fashion and Stylish Wearing. It was started by Mukesh Bansal, Vineet Saxena, and Ashutosh Lawania. It was originally intended for delivery of Customized Gift Item. It started in 2007. Jabong.Com is its Subsidiaries Company. It is one of India's leading fashion stores. In 2014, Flipkart bought it and after that many small changes were made, as the official website of the official discontinued. Because coming from most of Traffic Mobile Device. However, the website was started again for a few days. Despite all this, Myntra is The Best Online Fashion Store. Snapdeal is Delhi based online eCommerce company. This company became began by using Kunal Bahl and Rohit Bansal. Snapdeal is a 9-year-old company, but, in the eCommerce world, no big name has been made so far. But talking about some products, people like Snapdeal are ordering. 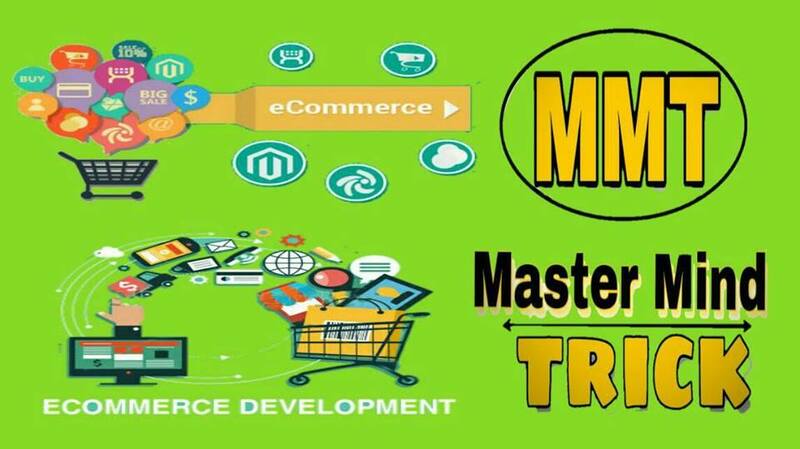 Make My Trip is also an eCommerce Company. The only difference is that all the eCommerce websites get home delivery of many products. But, our delivery happens on Make MyTrip. It just works related to Travel. As if walking somewhere, the hotel should be. On such occasions, we need the hotel and when there is access to the hotel there is no room there. Often, when the weather is going on anytime, or if there is any reason for any reason in any city, then there is no room in any hotel in any of the hotels there. In such a situation, if there is a lie, there is no other place beside the station. However, if using Make My Trip, Hotel can be booked anywhere. This company was started by Deepak Kalra in the year 2000. IndiaMart was started in 1999 in Noida, Uttar Pradesh. This is a huge B2B Network. This company has been started by Dinesh Agarwal and Brijesh Agrawal. In the beginning, it was just another business directory. But, over the years, many changes were made here and today it is one of India's largest B2B Company. Passed In some years IndiaMart has made many awards for himself. With this, many investors are now investing here and some want to invest here. Like India Mart, Justdial is also a B2B portal. Service sells. In fact, B2B website affiliate marketing. The only difference is that it leads the service provider to a fixed amount. However, affiliate marketing is available on every single cell. The more sales available in affiliate marketing, the higher the commission will be, however, JustDial has a few yearly packages in which it continues to lead for one year Story of JustDial. Like Make My Trip, Yatra.com also sells travel packages. This is one of India's Leading Travel Portal. This is a listed stock company. The company started with the collaboration of Dhruv Shringi (CEO), Manish Amin (CIO) and Sabina Chopra (COO - Corporate Hotels) on 01 August 2006. Its headquarters are in Gururgram, Haryana. It offers service related to Flight, Hotel, Train, Bus and holiday package. When every kind of eCommerce company is being shamed here, how can you leave health? Fitness may be very crucial inside the existence of everybody.. Because, in a healthy body, a healthy mind resides. If you are not healthy then all is useless. But even after so many years of independence, the country's Shanshan system was not able to give fundamental therapies to the countrymen, it is more distressed than the fact that above the price of the drug inflation. Because profits in the Pharma Industry are very high. That's why doctors become Lakhpati and Millionaires in very few days. In this field, online marketing took the initiative and giving home delivery of medicines with 1mg.Com Discount. Apart from this, many more eCommerce companies are working in India. If any other company's name should also be listed in this list, then tell it in the comments box. Hope this information is good. By clicking the social media icon below, share it with your friends.